All Razor Series Axe models are also available in the Proline Series. Though just as durable for throwing, they feature a few aesthetic differences and additions that make them great for gifts, prizes and awards. This series features a polished head, instead of the painted black head found on the Razor Series, with the Precision Axes "P" mark moved from the eye to the bit for high visibility. Polished Razor models (with the Precision Axes "P" mark kept in the eye) are also available upon request. 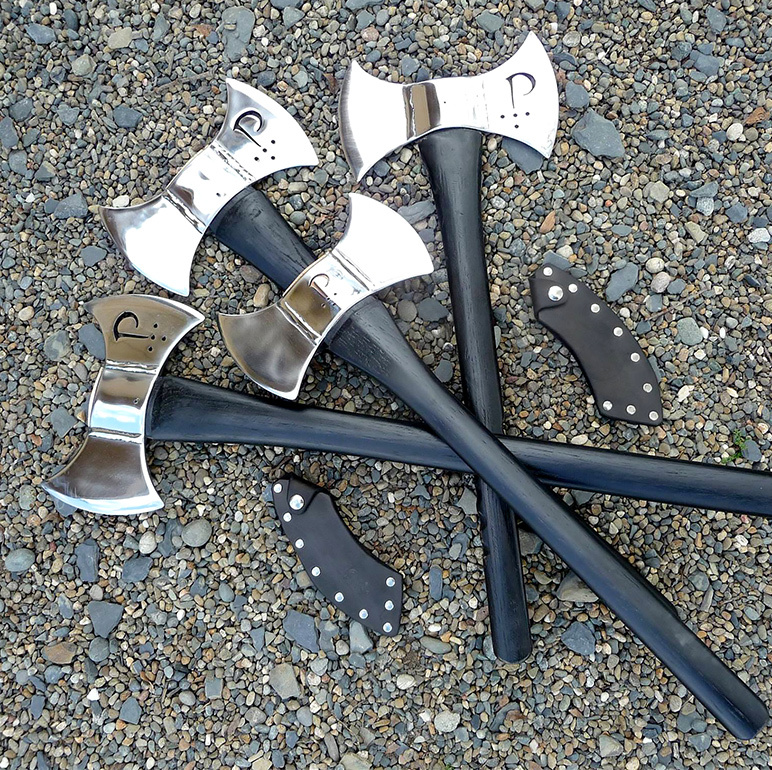 Each Proline includes a black American Hickory handle and the same high-quality plate steel found on the Razor Series Axes. A set of black leather sheaths are included for safe-keeping and storage.